Founded in November 1950, Dickey Rural Telephone was created to bring telephone service to rural southeastern North Dakota. Now, as Dickey Rural Networks, it offers state-of-the-art telecommunications, Internet, and television services through two companies–Dickey Rural Telephone Cooperative (the parent company) and Dickey Rural Services. These two companies are marketed as Dickey Rural Networks (DRN). DRN is working to add to the quality of life of our residential and business customers by offering advanced technologies and local customer service. Its goal is keep customers connected to an ever increasing global community. Besides providing local telephone service, other services offered through DRN include: long distance service through North Dakota Long Distance; custom calling features; voice mail; small and large business telephone systems; special circuits; high speed Internet service; personal Internet security services; wired and wireless network consulting; web design and hosting; business system software design and television service. Click Here for a complete guide to DRN’s services. 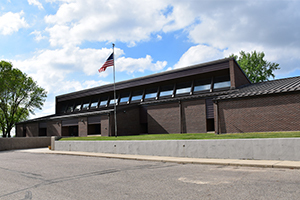 Dickey Rural Telephone Cooperative serves 19 exchanges in seven North Dakota counties and two South Dakota counties. Its Board of Directors, elected to serve a three-year term and represent the different exchanges, governs DRTC. Dickey Rural Communications, Inc. consists of 9 exchanges purchased from US West in 1996, while Dickey Rural Services, Inc. is the company, which provides high speed Internet services, as well as web hosting, web design and television service. The most recent acquisition to the company, Dickey Rural Access, Inc., was created to bring DRN’s hometown service and technology to the businesses and residences of the Lisbon and Gwinner exchanges. In the fall of 2011, the cooperative members voted to merge Dickey Rural Communications and Dickey Rural Access into the cooperative. DRN is proud to be providing fiber-to-the-home in 100% of our service area. To learn more about this initiative, visit ThisIsLivingWellConnected.com.